Hexicon is currently deploying its initial demonstration platform in the North Sea under a contract with the Scottish Government. 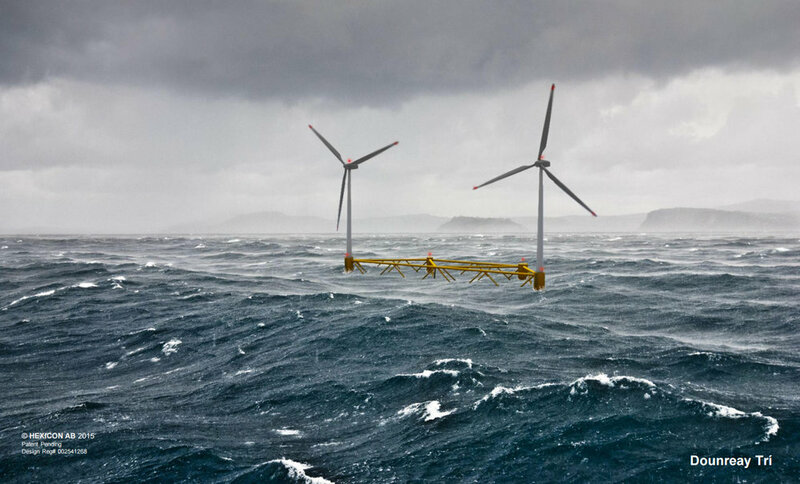 The platform will initially carry a single 10 MW wind turbine, while demonstrating the ability of the floating platform to support two turbines, adjust to wind direction, and provide stability under the most demanding off-shore conditions. Copyright © 2012 U.S. EcoGen, LLC. All Rights Reserved.